Dom Smith chats to M.S. 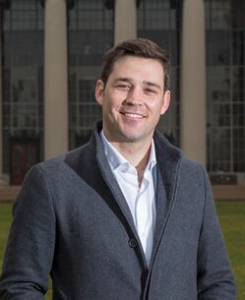 Candidate at MIT System Design and Management (SDM) and Marketing Project Assistant at the MIT Technology Licensing Office (TLO), Evan Hartley Platt about his entrepreneurial goals, overcoming personal adversity following serious injury, as well as his work at MIT in Patents. In addition, Evan gives some advice for students looking to start-up, and look for funding.